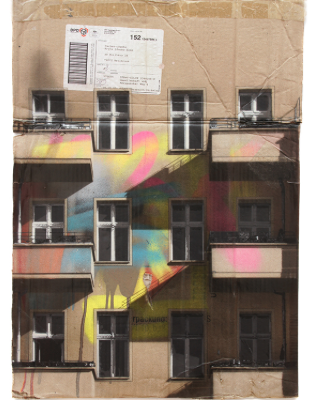 Evol is a German artist currently living and working in Berlin. 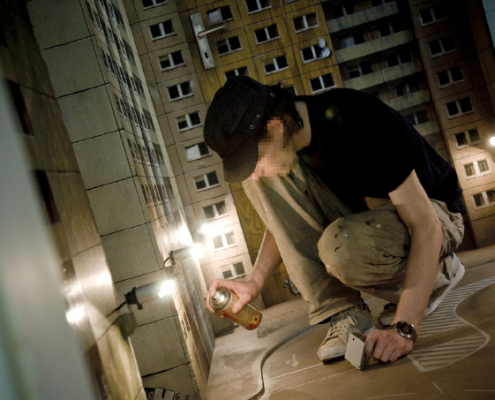 Born in Heilbronn, Germany, he attended the Kuopio Acadamy of Arts and Crafts in Finland and has a degree in product design from HFG Schwäbisch Gmünd in Germany. 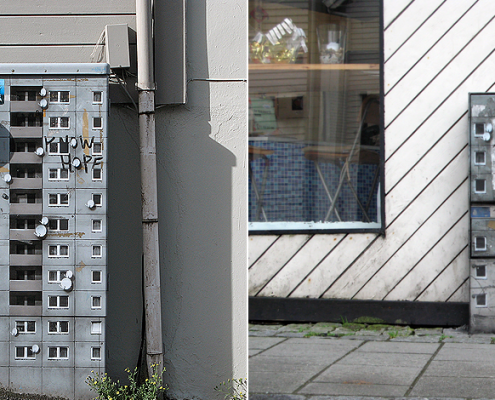 Evol has had solo exhibits in Germany, Belgium, China and the United States. 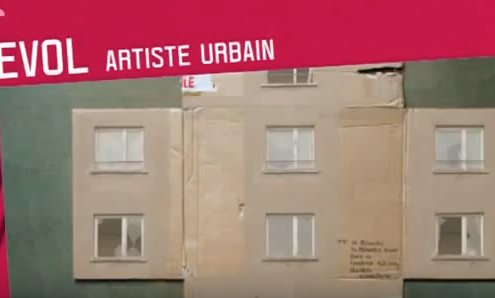 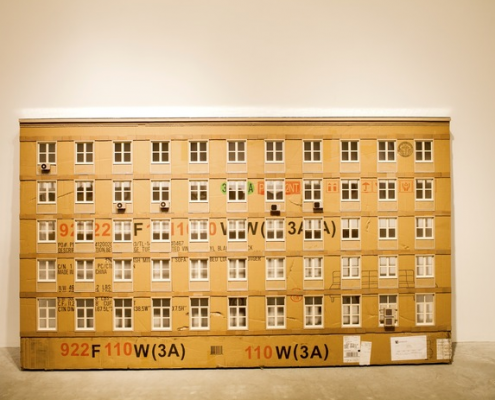 While his gallery work includes installations and paintings on cardboard, his work in the streets primarily centers around apartment buildings. 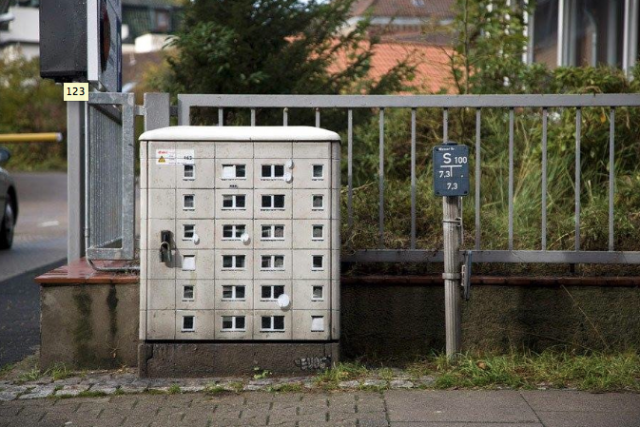 Using a layered stencil technique, Evol transforms the unlikeliest of mediums into the outside of mundane, everyday apartment buildings. 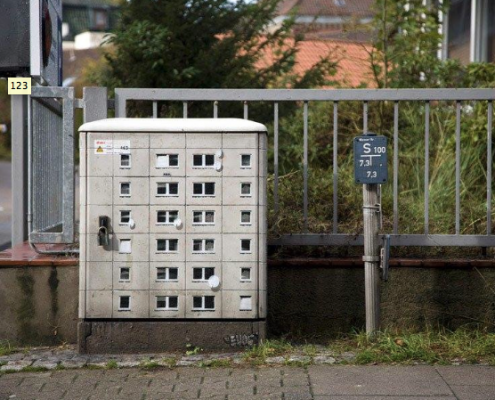 There’s depth to his artwork and they are so realistic you may catch yourself wondering if there are little people in each of the units going about their lives.